"Sweet Christmas!" Based on his popular Netflix TV series, Luke Cage is back! 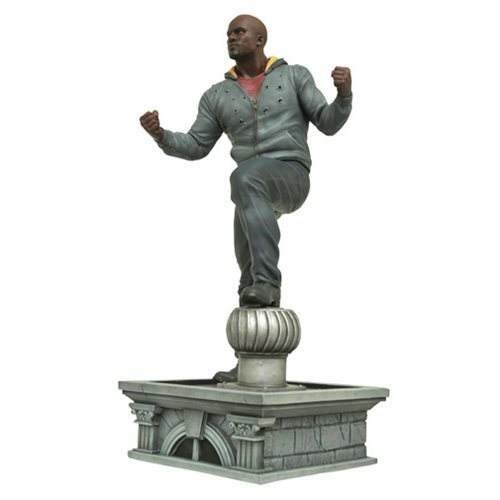 Featuring the likeness of actor Mike Colter, this highly detailed statue features the hero in his bullet-ridden hoodie atop a Harlem rooftop ready to protect his neighborhood. Measuring approximately 10-inches tall, this Marvel Gallery Luke Cage Statue comes packaged in a full-color window box. Ages 14 and up.